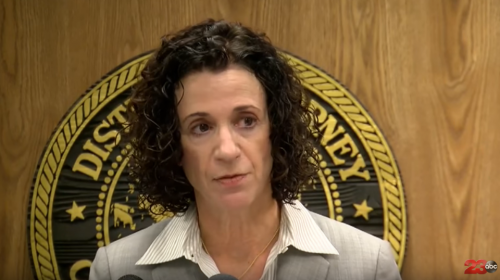 Last week, Kern County District Attorney Lisa Green confirmed that she has launched a new investigation into “all allegations” involving the Kern County Board of Supervisors. That’s great news for Kern County taxpayers, who were startled by allegations that include bribery from a Bakersfield business owner. But area residents also have seen the City of Bakersfield facing a lawsuit by first amendment advocates who argue that the city violated state law when it held closed door meetings on municipal revenue policies. They’ve also read about our two lawsuits filed last August to help the public determine if the public meeting law was broken when both jurisdictions voted to kill homeowner access to Property Assessed Clean Energy (PACE) financing. We think people have a right to know about county and city politicians’ deal-making with the powerful realtor and mortgage banking lobbies. When we first learned about the “political cover” claim, we figured it was a question of who had influence. But the allegations of bribery involving Kern County Supervisors made by a Bakersfield businessman, and the District Attorney’s announcement of her investigation, now have us thinking it’s important to confirm that any influence used was legal and proper in the back-to-back decisions to kill homeowner access to PACE by the county and the city. We certainly hope it was, but our attempts at getting answers to basic questions about how the public’s business was transacted around PACE have been met mostly with foot dragging and obfuscation. In fact, it left us no option other than to file the lawsuits to get answers. The district attorney has the tools to get definitive answers for the public about how decisions were made on its behalf by expanding her look to the Bakersfield City Council as well. At this point, unanswered questions about official conduct serve neither the city nor the county.